With the UK’s changing demographics and market challenges, it is more important than ever to work in partnership with the organisations that deliver healthcare every day to our nation. We are the most trusted provider of pharmacy dispensing services to NHS hospitals and mental health care providers, because we free up clinical resource and reduce patient waiting times. 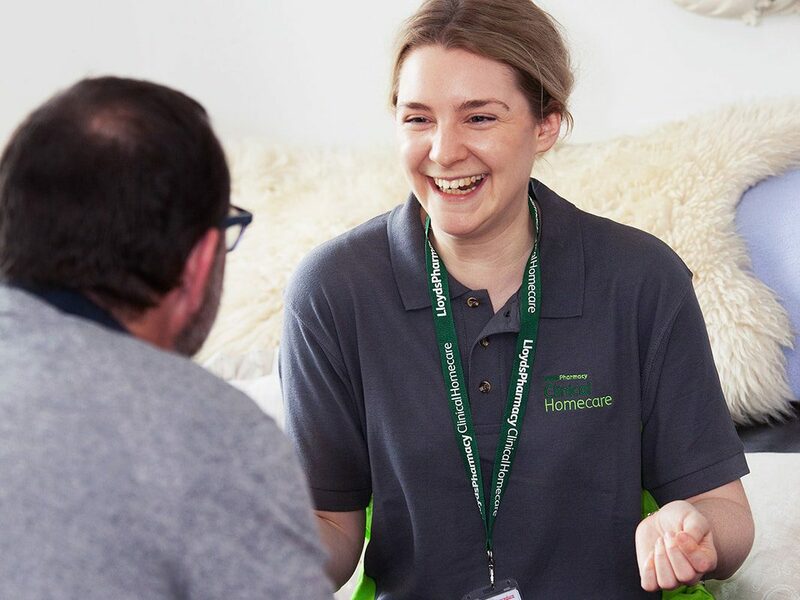 Our LloydsPharmacy Clinical Homecare business delivers care to 80,000 patients in their home reducing the number of visits to hospital, and giving patients more choice on how they receive their care. From delivery of prescription medicines, to specialist oncology and recuperative care, we are helping to transform capacity within the NHS by bringing healthcare closer to home. Every healthcare provider we partner with becomes a part of our intelligent network of services and solutions. By working closely with them, we have developed some of the most forward-thinking and practical solutions to drive better patient choice and efficiency. We are now delivering injectable cancer and asthma treatments in a local LloydsPharmacy for Northern Lincolnshire & Goole NHS Trust. This has led to increased patient satisfaction and improved waiting times. Together we have launched our first purpose-built healthcare centre, right in the heart of the community, where patients can choose to have their infusion treatment. This is transforming capacity for the hospital and giving patients a much more flexible treatment plan. Addressing the Carter Review recommendations with an end-to-end outsourced dispensing solution. A complete outsourced pharmacy solution – offering inpatient, outpatient and clinical services in complex, high risk environments. Careway Link allows multitasking so that you can deal with your prescriptions whilst using other functions. Advice and support tools to optimise your back office and pharmacy business, to give you more time with your customers. Practical support and materials your business needs to deliver excellent service to your customers. Including live practical training for injection techniques, supporting flu services and e-learning through the online academy. Our partnerships with community pharmacies, healthcare providers and pharmaceutical manufacturers are making better health possible in the UK. We work closely with pharmaceutical manufacturers to get their medicines to the patient whether that’s in a hospital, a pharmacy or in the patient’s own home. When getting a product to the patient, our supply chain experience, infrastructure and technology guarantees the highest level of product integrity.